The Sixth International contemporary Art Fair ARTVILNIUS’15 will be held at Lithuanian Exhibition and Congress Centre LITEXPO on June 25-28. 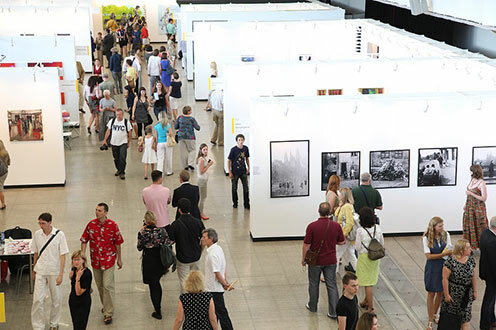 The largest Art Fair in the Baltic region will host 55 galleries from 15 countries of the world (Belarus, Denmark, France, Georgia, Germany, Italy, Latvia, Lithuania, Netherlands, Poland, Romania, Russia, Slovakia, Switzerland, Ukraine). 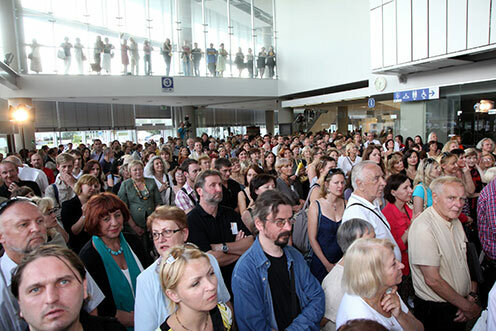 This year, the main focus will be on Ukraine and Ukrainian contemporary art. “PinchukArtCentre” – an international centre for contemporary art of the 21st century from Kiev – in ArtVilnius’15 will present their private collection. Few other interesting projects: contemporary video art festival Videonale will join ArtVilnius’15 with a new programme to celebrate its 30th anniversary. The spaces of the art fair will shelter a large-sized exhibition of sculptures, exhibitions of objects and installations Takas (The Path). Ukrainian artist Mykyta Shalennyi will bring to the Fair installation project “Syberia” which aims at highlighting the issue which is usually not to be discussed. ArtVilnius’15 is offering not only a wide selection of contemporary artworks, but also a lot of important additional events. Among the most important ones is the selection of the best young artist, the best artist and the best gallery by the panel of judges and visitors. 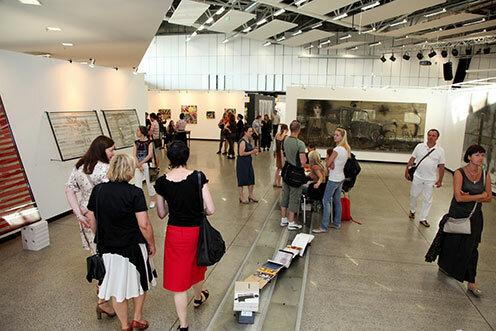 The Art Fair also offers a programme of parallel events such as conferences, discussions, workshops and various events offered by guest galleries.